A classic and easy Baked Mac and Cheese Recipe! This recipe is dangerously easy to make and is topped off with a buttery, crisp toasted panko topping! If you have a cast iron or oven-safe pan handy, you can even bake it in the same pan that you use to make the sauce! 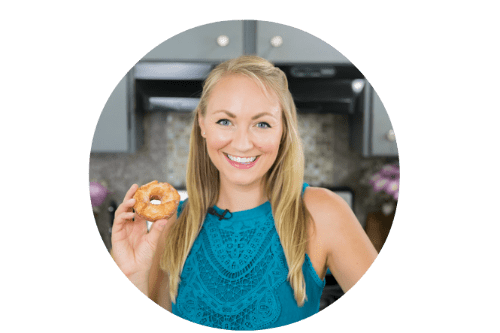 Today I’m sharing one of my favorite comfort foods — baked mac and cheese! 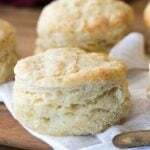 Until then, let’s talk more about this classic comfort food. 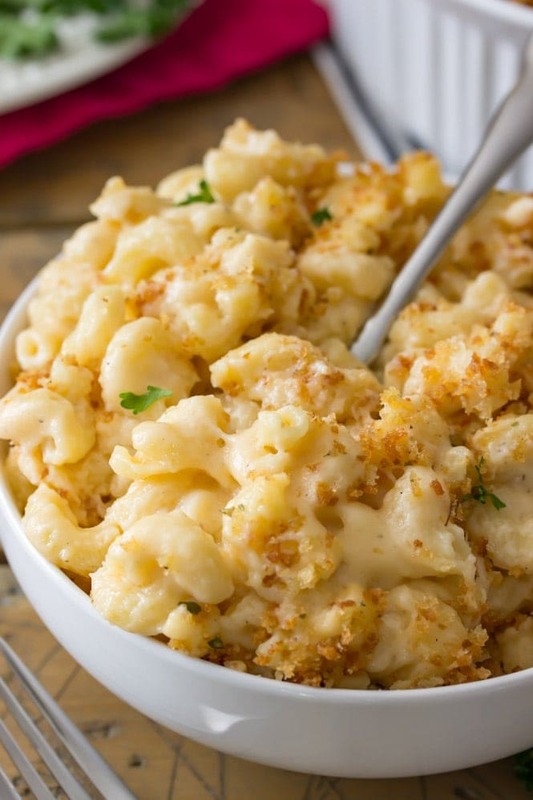 Homemade Mac & Cheese is a simple staple that everyone should have a go-to recipe for. This one is mine. It’s cheesy, creamy, and uncomplicated. Everything a good mac & cheese should be. What Do I Need to Make Baked Mac & Cheese? 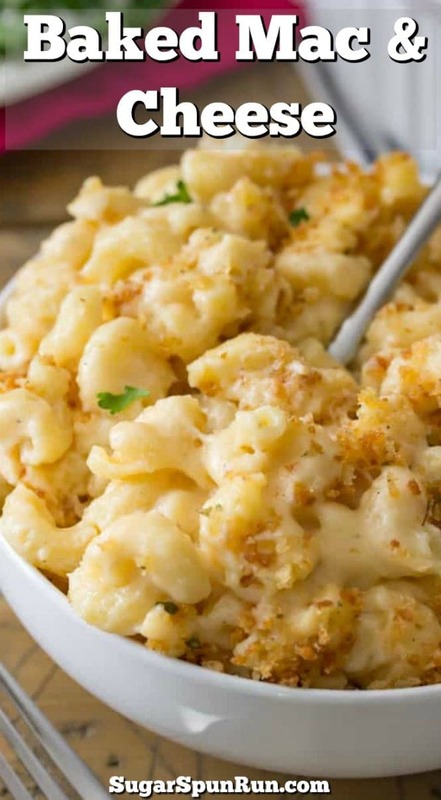 Macaroni Noodles — though let’s be real you can use 8 oz of pretty much any shape of pasta! CHEESE — All caps for obvious reasons. 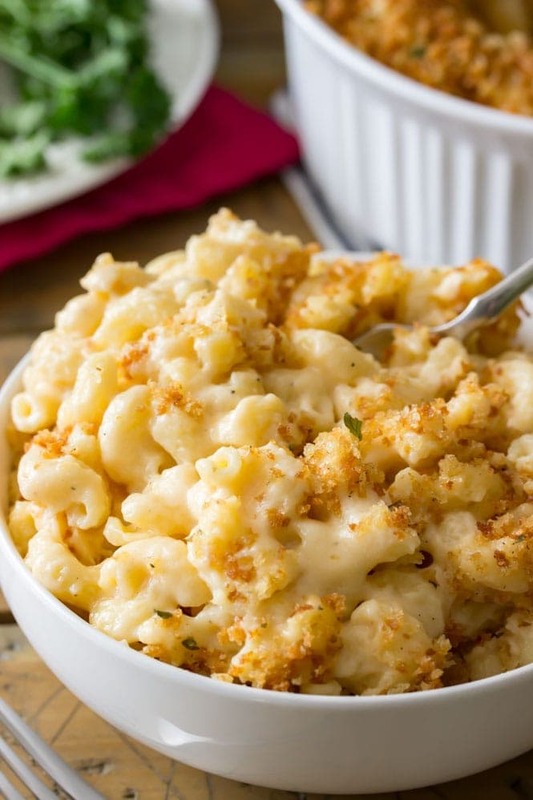 Your cheese selection can make or break your baked mac and cheese. Shredding your own is preferred, more on that a bit further down the post. Flour — for making your roux. Don’t worry, it’s so easy! I hate to even mention that this baked mac and cheese starts with a roux because so many people are intimidated (I even have an easy mac and cheese that requires no flour and no roux because of this). All we’re doing is whisking together melted butter and flour, honestly. Spices — salt, pepper, garlic powder, onion power, and ground mustard. A little goes a long way for flavor. Alright, that roux I mentioned? It’s simple, just look at steps 1-5 below. Start by melting your butter and then add flour. 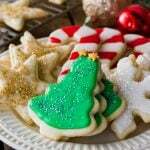 Use a whisk to stir in the flour until the mixture is smooth and no lumps remain. When you add your milk the mixture may separate a bit. This is fine, everything will come back together once the milk warms up a bit. Add your spices and bring everything to a bubble and cook (stirring continuously so nothing burns) until the mixture is thickened. It’s very important that your mixture thickens before you continue. The mixture should be creamy and should coat the back of a spoon (see step 5 below). If it’s not thickened, your baked mac and cheese will be too liquidy and runny. We want creamy decadence, not a runny mess. Finally add your cheese and stir until melted (steps 6-7 below). Then in go your prepared macaroni noodles. Finally top everything off with some toasted panko and bake! My baked macaroni and cheese is incredibly cheesy and creamy, but what really sets it over the top is the buttery panko topping. 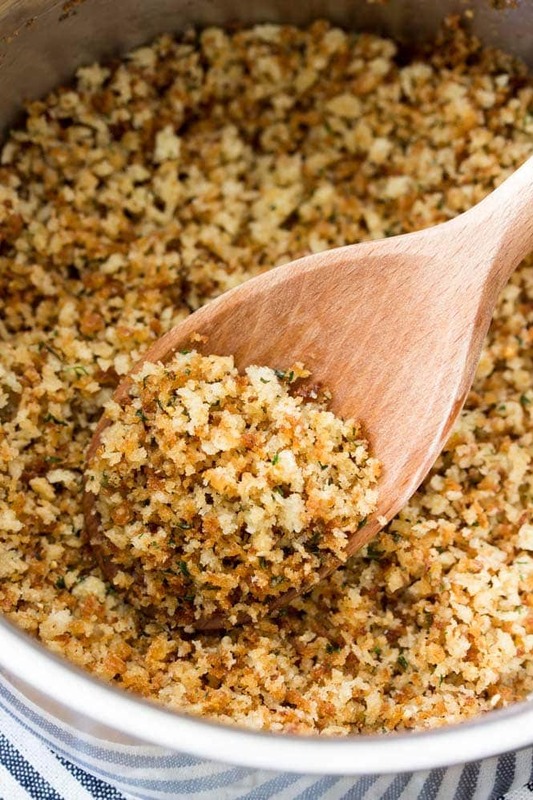 I love the crisp, crunchy texture of panko (and 100% prefer it to using breadcrumbs). 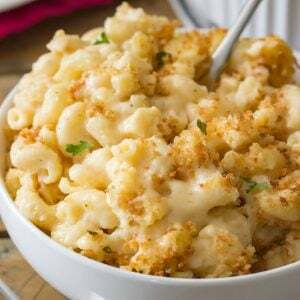 Panko gives the smooth and creamy mac and cheese that extra something that makes it irresistible. Before adding it to the top of your (not yet) baked mac and cheese, you’ll add it to a small pan along with some butter and olive oil and then stir it frequently until it becomes lightly golden/toasted. 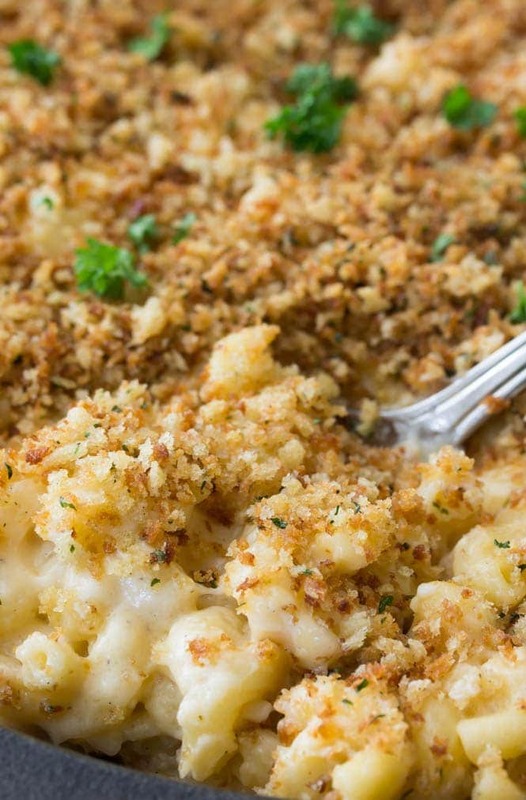 It’s such an easy extra step and it adds everything to this baked mac and cheese! 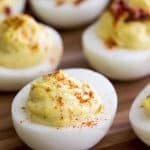 I use a mix of sharp cheddar and white cheddar as well as mozzarella for this recipe, but you can substitute your favorite cheese for the cheddar (I recommend leaving the mozzarella alone, it helps make things creamy and amazing, but you do you). Colby, Monterey Jack, and Gruyere are all great options! Another word of caution, most cheeses that you buy pre-shredded are tossed with cellulose powder before they are packaged. This keeps the shreds from clinging to each other so that you don’t have a big glob of sticky cheese. 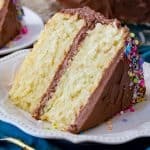 Unfortunately, this cellulose powder can keep things from melting properly when you go to use that cheese in this recipe. If you opt to use pre-shredded, you run the risk of things not melting properly and your mac and cheese not turning out. Honestly, more than once I’ve made this using pre-shredded cheese with great results, it’s just risky and results can’t be guaranteed. I’m currently having a moment with Tillamook brand cheese, which is the best pre-shredded cheese I’ve ever tasted and is not tossed with cellulose. 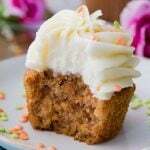 It’s pricier but worth it (and no, they’re not paying me to say this!). Even Zach loves it and he’s usually the first to try and talk me back over to generic. Do you cover baked mac and cheese in the oven? 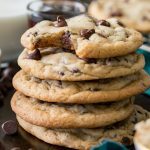 For this recipe there is no need to! I made a brief video (see it on my YouTube channel or below the recipe) so you can see exactly how I made this baked mac and cheese. Enjoy! 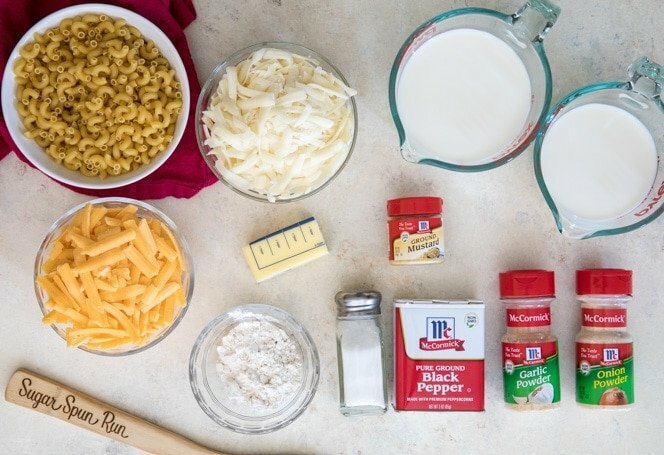 A simple recipe for old-fashioned homemade baked mac and cheese! 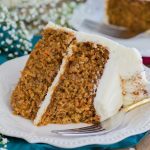 Be sure to check out the how-to VIDEO at the bottom of the recipe! Begin cooking your pasta according to package instructions. 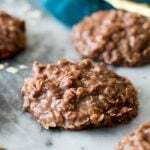 Do not over-cook, in fact, for best results cook one minute less than indicated time. Once finished, drain, drizzle with a tiny bit of olive oil and toss to coat so the noodles don't stick together while sitting. Meanwhile, melt butter in a 10" cast iron pan² over medium heat. 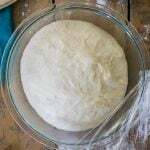 Once it has melted, add flour and whisk until smooth and no lumps remain..
Once mixture comes to a boil, reduce heat, bring to a simmer, and stir frequently until mixture is thickened. Reduce heat to low and add cheddar and mozzarella cheese. Stir until cheeses are melted and mixture is smooth. Add cooked, drained pasta noodles and stir until well coated by the sauce. Set aside while you prepare your Panko topping. Combine butter and olive oil in a small saucepan over medium heat. Heat, stirring occasionally, until melted. Sprinkle toasted panko evenly over mac and cheese. Transfer to oven and bake uncovered on 350F (175C) for 15 minutes. Garnish with parsley, if desired, and serve. ¹You may substitute another type of shredded cheese for all or part of this -- Colby, Monterey Jack, and Gruyere, would all work well. I personally use half sharp cheddar and half white cheddar for mine! I also recommend buying your own block of cheese and grating it yourself to ensure that the cheese melts properly, please see my post for more information on pre-shredded vs block cheese. 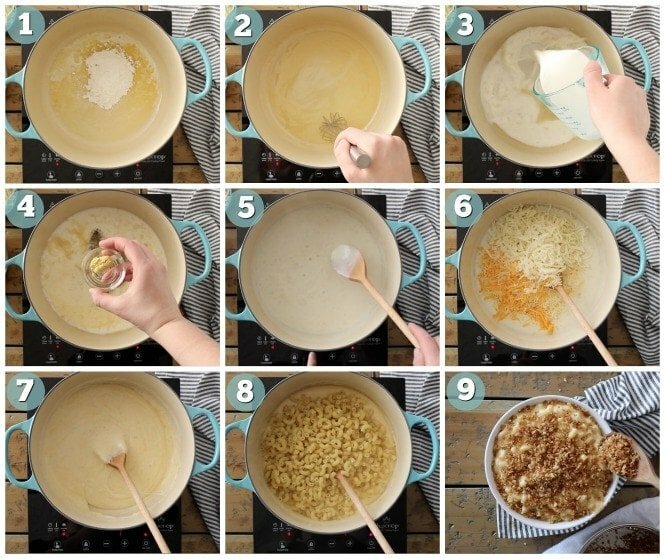 ²If you don't have a 10" cast iron pot, then prepare your macaroni and cheese according to these instructions and then transfer to a lightly buttered 9x9 square pan or 1.5qt baking dish before topping with panko and baking. This Baked Mac & Cheese Recipe was originally published 01/12/2018. Post has been updated to include additional tips and improve user experience 04/19/2019. Can this be made a day ahead? 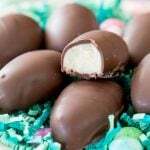 My pickiest eater loved this! can I add tuna? My husband wants mac and cheese with tuna.